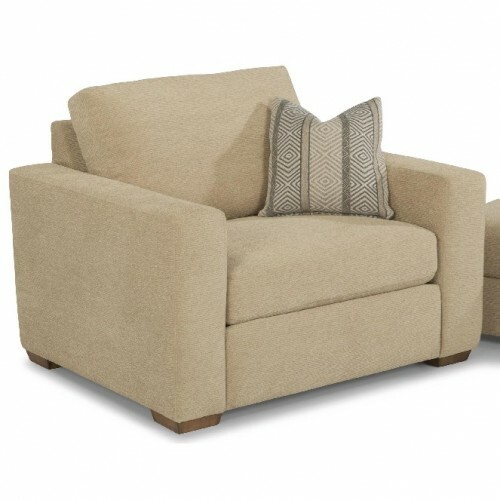 Bring a clean, casual and comfortable seat into your living space with this Casual Chair. The piece features a pair of wide track arms for that contemporary look, while the generously sized seat and seat back cushions just make you want to sink in and relax. Furthermore, choose between a wide variety of fabric options to truly make this sofa your own.